Fidelia Bridges was one of the most renowned artists of her time and one of the very few women artists who supported herself with her work. 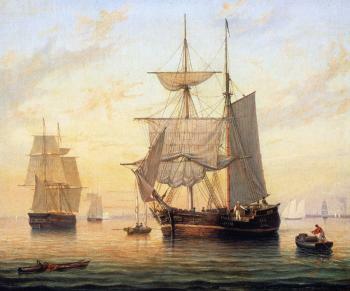 She was known for her delicately detailed nature paintings, which were published in books and magazines. Her paintings convey the joy she felt in birds and flowers. She wore black in the winter, gray linen in the summer. Note the shorter dress with pants underneath. 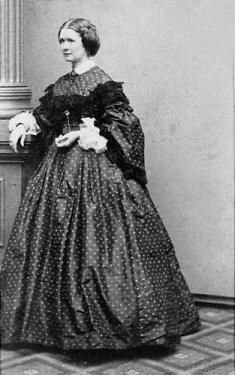 This style of dress is called the Bloomer costume, named for its designer, feminist Amelia Bloomer. 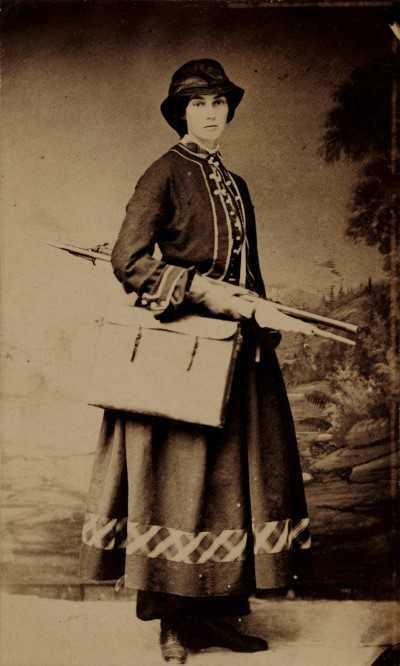 Fidelia Bridges was born May 19, 1834, the daughter of sea captain Henry Gardiner Bridges and Eliza Chadwick Bridges. The family lived at 100 Essex Street in Salem, Massachusetts, now known as the Fidelia Bridges Guest House. When Fidelia was 15, her father died while overseas. News traveled slowly in those days and knowledge of his death reached his family three hours after the death of their mother. In the nineteenth century, women artists signed their work with a first initial and last name to conceal their gender. They did not make significant progress until the second half of the 19th century, but they gradually became a force on the American art scene, winning prestigious commissions and awards. 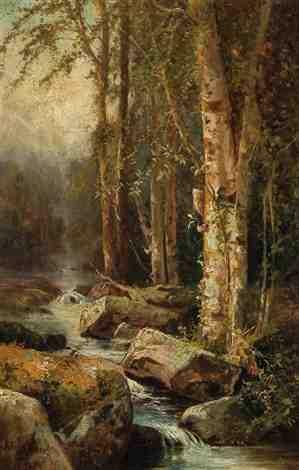 Julie Hart Beers, a painter in the style of the Hudson River School, was one of very few professional women landscape painters in nineteenth-century America and the only one to achieve fame. Beers took her first art lessons from her two older brothers, James and William, who were already well-known artists. James had studied art in Europe, primarily Germany, and William had studied for several years in Great Britain. 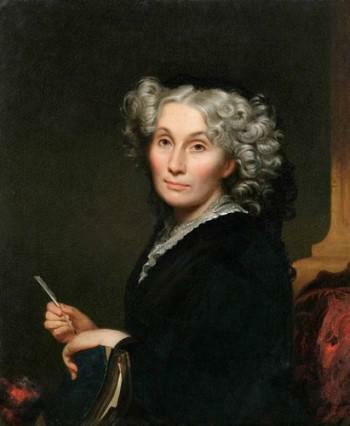 Anne Whitney was a poet and sculptor who fought to become an artist in a society that did not readily accept female sculptors; sculpture was considered a masculine art form. As with so many of the first 19th century women sculptors, Whitney was a member of a wealthy and supportive family, who helped her financially while she developed her natural talents. 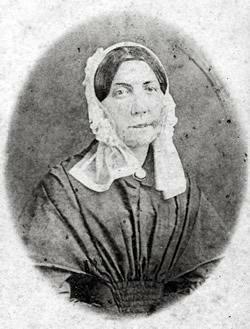 Anne Whitney was born September 2, 1821 in Watertown, Massachusetts; she was the daughter of well- to-do farmer Nathaniel Whitney and his wife Sarah Stone Whitney. Her supportive and liberal parents encouraged Anne to develop her artistic talents. Emma Stebbins was among the first notable American women sculptors and part of a group of who learned to work in marble in Rome in the mid-1800s. She produced her most famous works between 1859 and 1869, when she was in her forties and early fifties. Stebbins was born September 1, 1815 to a wealthy family in New York City, daughter of nine children of a bank president. Emma’s family encouraged her to pursue her talents in art from an early age. 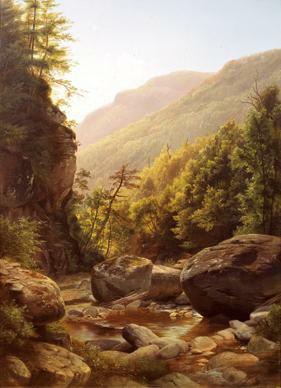 Stebbins studied at several American studios and exhibited at the National Academy of Design and other shows. By her twenties, she was a diligent and dedicated worker whose skill and perseverance were remarked upon by contemporaries. For many years Stebbins devoted herself to painting in oils and watercolors, working also in crayon and pastels, and later sculpture. 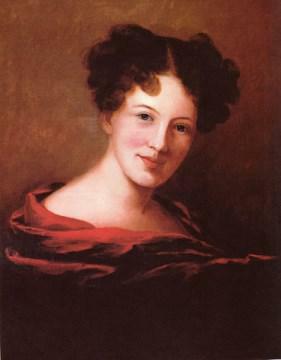 Sarah Miriam Peale, born May 19, 1800 in Philadelphia, was descended from the Peales, a great family of American painters. 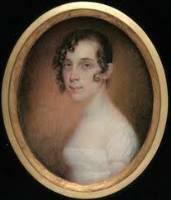 She was the youngest daughter born to famous early American artist James Peale and Mary Claypoole Peale. Her father trained her; she served as his studio assistant. 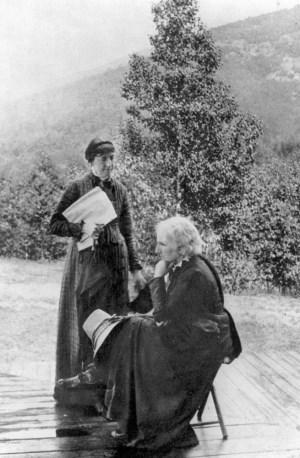 Like her older sisters, Anna and Margaretta, Sarah learned to mix paints, prepare canvases, and delineate backgrounds.